Continued improvements in physical performance are converting to cost savings on David Goodier’s 230-sow indoor unit in Lancashire. There has been an increase of around two pigs weaned/sow/year, from 24.29 to 26.79, since he became AHDB Pork’s pilot Strategic Farm host in 2016. What’s more, the drop in cost of production in the breeding herd has been calculated at more than 3p/deadweight kg. 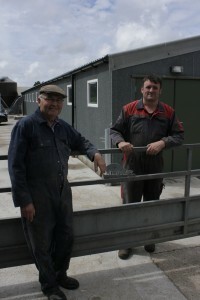 These improvements are attributed to a combination of changes, following four open meetings in which producers and the allied industry joined David to discuss pig management and performance. AHDB Pork calculated that this reduction in pre-weaning mortality reduced the cost of production by 2.1p/dwt kg, working on a 2015 cost base and assuming all other things were equal (see table 1). David’s increase in litters/sow/year from 2.22 to 2.26 knocked a further 0.7p off production costs. The boost in live piglets born/litter, from 12.87 to 13.2, lowered his costs by a further penny. In total, these three key improvements reduced the cost of production by 3.8p/dwt kg, based on 2015 costs. The table also demonstrates how, at the same time, changes in sow mortality and replacement rate increased the cost of production by 0.1p/deadweight kg, while a lower weaning weight and age pushed costs up by 0.3p. Even taking into account these cost increases, the net impact of these factors was a 3.4p reduction in production cost per deadweight kg. The cost of production calculations for key performance indicators in the rearing and finishing herd show an overall increase of 1.9p/dwt kg (see table 2). 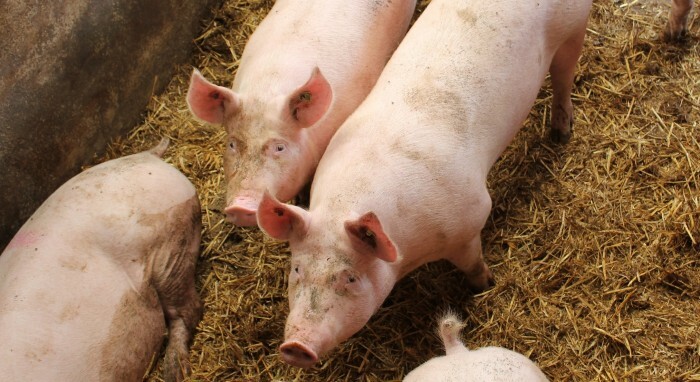 Taking into account the impact on these costs, the production cost across the whole pig enterprise, from farrow to finish, has been reduced by 1.7p/dwt kg. It shows how much can be learned and improved by examining both physical performance and the related costs. If you know both of these, you can use cost of production calculators to work out the effect of any management changes on costs. David has made a major investment in a new finisher building to help cater for the increased pig numbers being produced and to enable them to take pigs to higher finished weights. The first pigs went into the building in May 2017 and pigs are now being individually tagged and then weighed at birth, weaning and a week before slaughter. Weighing litters individually at weaning is key to understanding patterns of variation in the finisher herd so that variation can start to be reduced. The variation among a group of weaned piglets typically starts at around 20% and this needs to be reduced throughout the rearing and finishing periods. An Opticare supplementary milk feeding system for piglets was installed in some of the farrowing pens in the autumn. Initial results indicated improved creep intake and show an increase in total litter weight and individual piglet weight. The first batch weaned using the milk feeding system weighed 93kg/sow, compared with typically around 83kg before. The second batch saw a further increase in weight to 102kg/sow. Weaning weight per pig has increased from 7.5 to 8kg. This will be measured in more detail in the coming months. “A major priority is now to work on gilt performance and retention to further improve the numbers born per litter and over the whole lifetime of each sow,” said AHDB Pork knowledge exchange manager Angela Cliff. “David’s recorded data originally showed consistently low numbers born in the second litter with 36% of sows having an average total born less than 10. Gilt nutrition is an area that’s been pinpointed for review. David’s team is working on adjusting gilts’ diets, having had a good look at the current feed curve and gilt condition at different stages of the production cycle. For example, they’ve found gilts’ condition score has tended to be too high at farrowing and too low at weaning. Measuring out the daily feed allowance more accurately to ensure the quantities are consistently right and regularly calibrating the feeding bucket are two further practical changes. To help monitor condition, the team has started weighing parity 1 and parity 2 sows going in to the farrowing house and again post-weaning. They are also measuring back fat. The condition of parity 1 sows has already improved, as have conception rates, which have gone from 79% to 90%. This focus on young sow management is also shared by producers taking part in Gilt Watch, a new AHDB Farm Excellence initiative to help the industry improve gilt retention and lifetime output of sows.